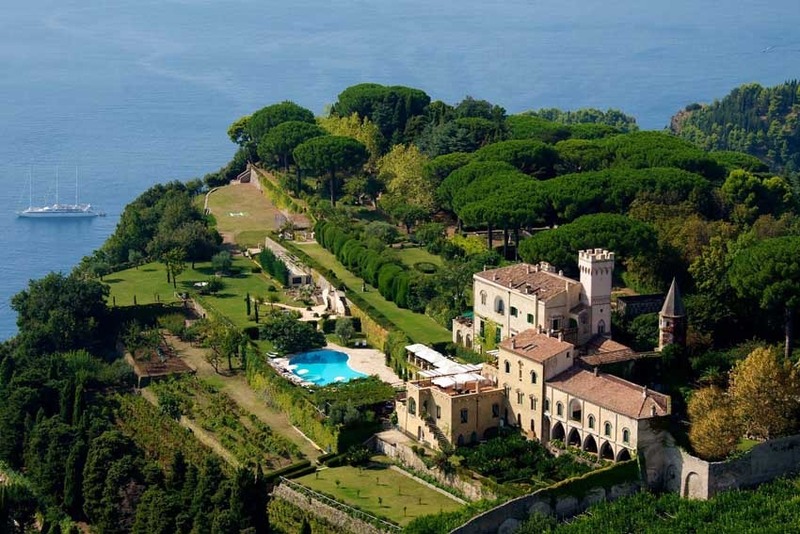 Villa Cimbrone is located in the most scenic spot of Ravello and only 15 minutes walk from the center of town. Idyllic location. 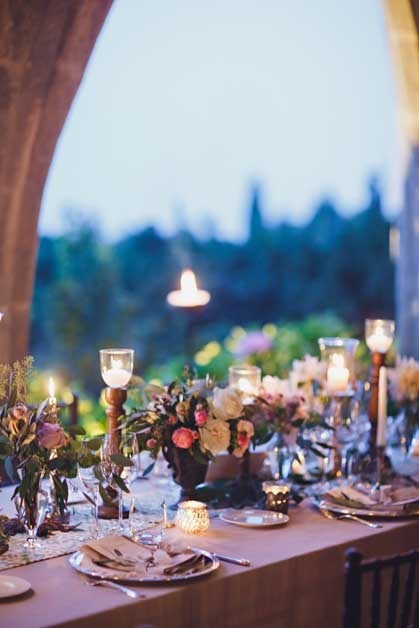 No words can describe the beauty of this enchanting and spectacular venue. 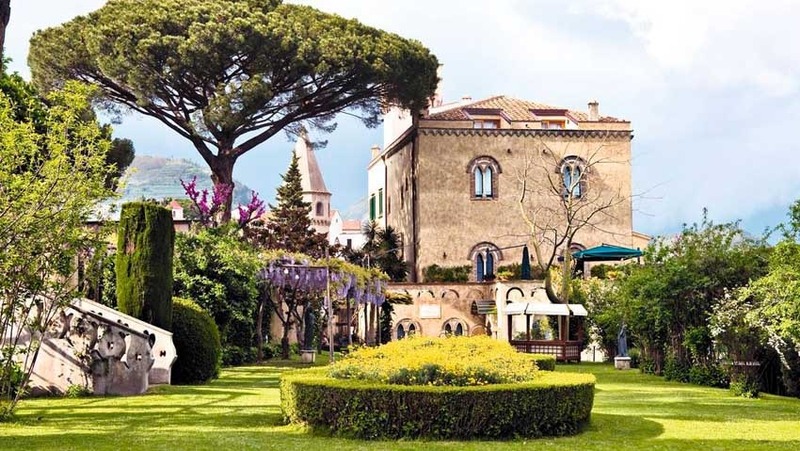 The gardens of the villa are one of Ravello’s most famous attractions. 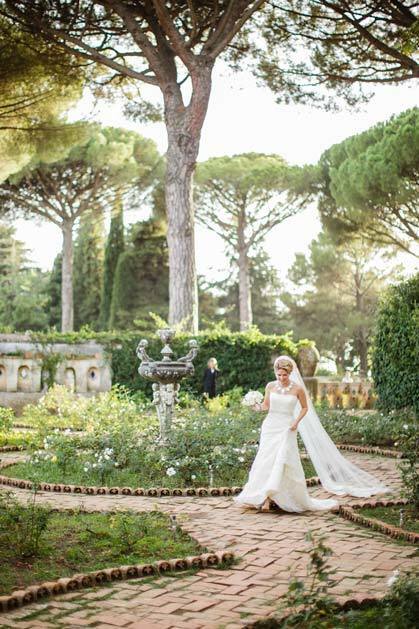 After only 10 minutes walk from the centre of town, you pass through the entrance gates of the villa, and its magnificent gardens open up like magic! The most dramatic view is from its bellavista terrace with its stately Roman Statues accenting the dazzling view. 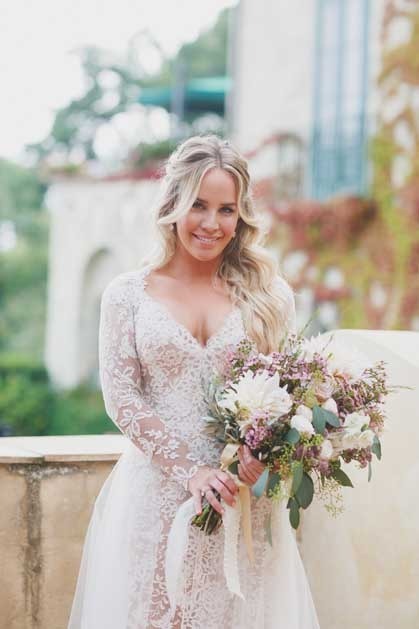 Protestant, Jewish, non-denominational and symbolic ceremonies can be held in one of the many beautiful spots of the garden. 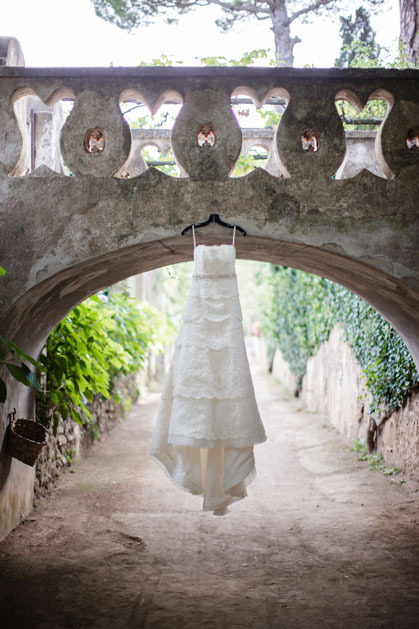 Ideal for small or fairly large wedding ceremonies. 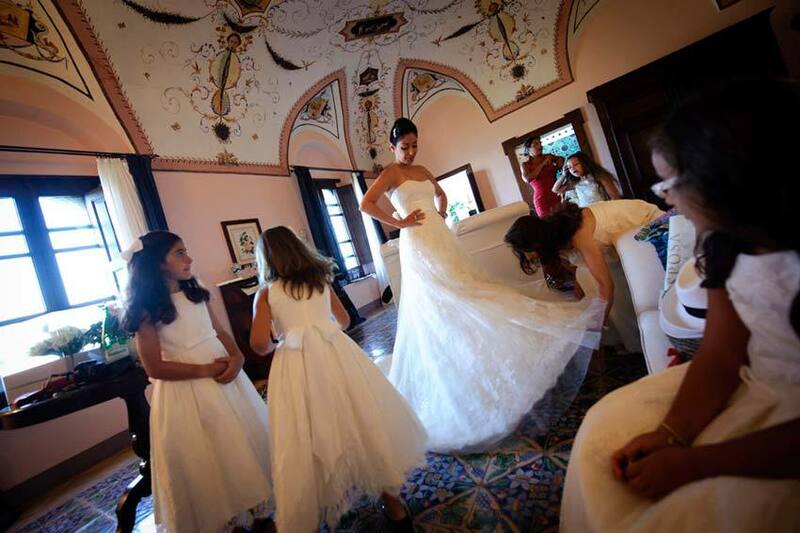 Civil and Catholic ceremonies in the heart of Ravello. 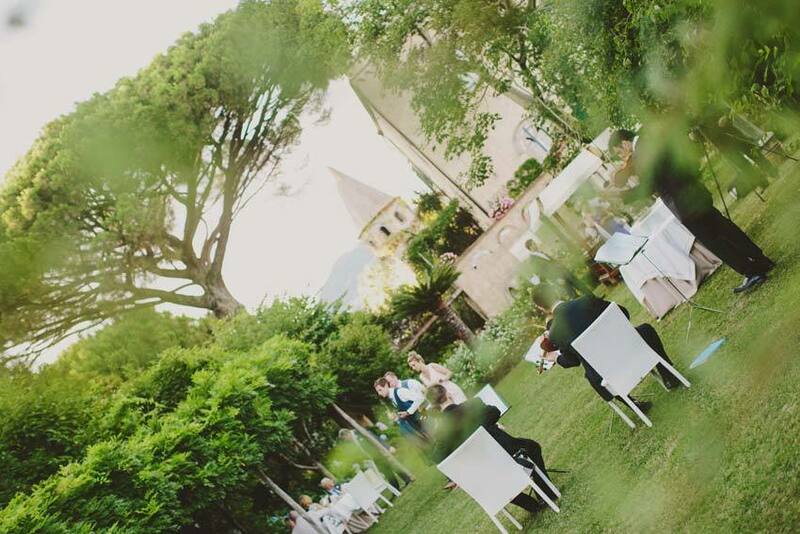 Refined and very exclusive wedding receptions can be organized at Villa Cimbrone, this impressive venue offers a large number of solutions. 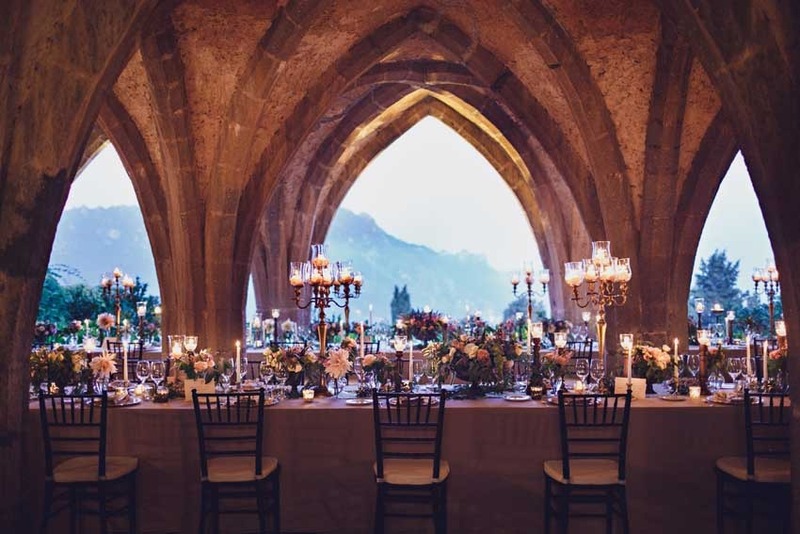 Welcome cocktails can be served by the panoramic terrace or at the Mediterranean garden and followed by a sit-down dinner in one of the most romantic and extraordinary halls of Ravello with Gothic arches and colonnades. 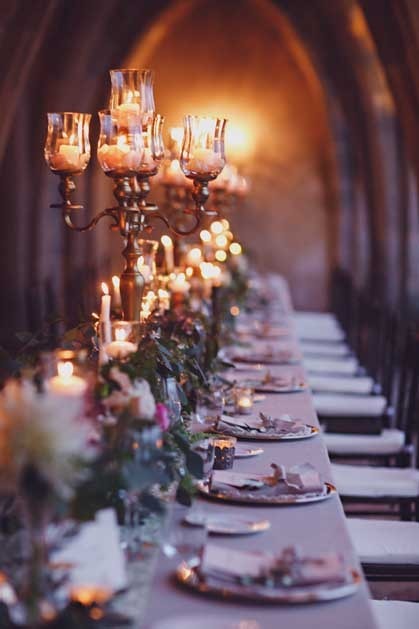 There is no right or wrong choice at this venue your wedding reception will leave everyone breathless. 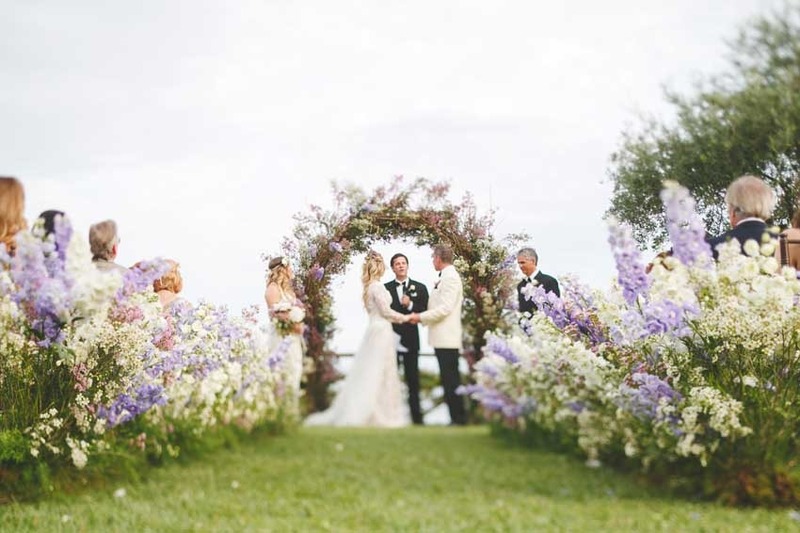 This is definitely one of the most romantic and evocative venues for an absolutely stunning wedding reception in Italy. Excellent Mediterranean cuisine. High-standard service. 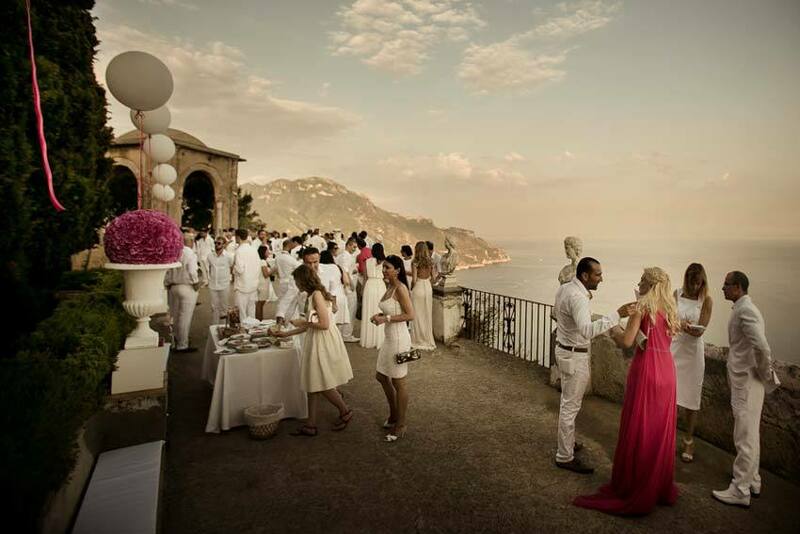 Undoubtedly the most romantic venue for a wedding reception on the Amalfi Coast. Any kind of music. Dancing allowed. Music until midnight. This villa is luckily also a small hotel with 19 double rooms. The rooms are also museum quality with period furniture. From April to October. Booking a year in advance is highly recommended.